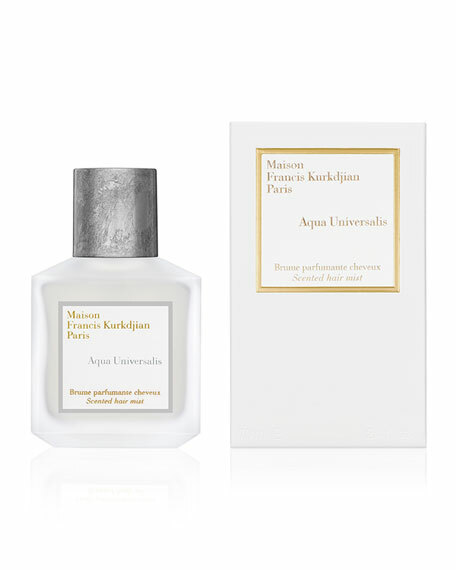 The light and absolutely feminine Aqua Universalis mist scents the hair in a delicate and refined beauty ritual. Its alcohol-free formula is gentle to the hair, releasing a luminous and floral sillage.A sensation of airy, luminous freshness. This bouquet of lily of the valley and sweet mock orange conjures citrusy notes enklindled by light, musky woods.